Having retired as a Chief Superintendent in West Yorkshire Police in December 2005 following the completion of 30 years’ service, he brings a wealth of policing experience, including detailed knowledge of the wider Criminal Justice and Community Safety in partnerships environment. During his service he developed an extensive portfolio of skills in the areas of Criminal investigation, operational command and performance management. Having progressed as a career detective he ultimately performed the role of Senior Investigating Officer on numerous high profile homicide enquiries, and a number of associated major crime investigations ranging from gang related murder to Terrorist activity. 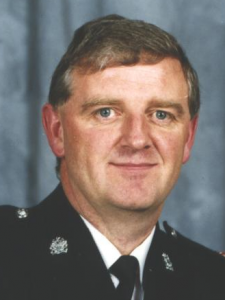 Following a 3 year period as a Senior Investigating Officer he was appointed Divisional ( BCU) Commander for Huddersfield Division with responsibility for 450 staff and a devolved budget of £15 million – a role he performed for 7 years from 1997 – 2004. During this period he received several favourable mentions in The House of Commons for his commitment to the development of Community Policing. The final 18 months of his Police service was as Head of Territorial Operations in West Yorkshire with specific responsibility for volume crime policy, a period which saw the Force receive the accolade as “most improved in the country” in terms of crime performance. He also oversaw the development of force wide strategies in the areas of neighbourhood policing, critical incident management and performance improvement. During that time he also performed the key role of Gold Command Room coordinator following the July 7th 2005 terrorist attacks in London which resulted in the identification of 4 suspects from within the West Yorkshire area. He ensured that particular emphasis was placed in ensuring a comprehensive policy file of post incident activity was maintained, having identified the critical role that decision making would have when scrutinised many years later. Since retirement he has been employed as a self-employed consultant and completed a strategic review of Logistics and Resource management within West Yorkshires Homicide and Major Enquiry Team. This resulted in full implementation of the changes recommended following the submission of his review findings. Having lectured on numerous topics relating to major crime investigation during his police career, he was engaged as a consultant trainer and undertook delivery of all Senior Investigating Officer and Detective Inspector training courses at West Yorkshire Police Training school at Bishopgarth from October 2007 to March 2010. Students attending the course came from throughout the United Kingdom and have included senior Officers attending from as far afield as The Bahamas, Scandinavia and Qatar. During 2009 he was commissioned by the United Nations to deliver two courses on Senior Leadership and the management of major investigations to Senior Officers from the Turkish Gendarmerie, Customs and Coastguard services in Mersin, Southern Turkey. In February 2012 John delivered a bespoke course in Problem Solving Policing on behalf of the Community Policing and Crime Institute in Abu Dhabi. He has received numerous commendations for work in the field of major crime investigation, and during his service completed a Home Office senior course in criminology held at Cambridge University, following which he was invited to give the keynote address to the International Problem solving Policing conference in San Diego in 1996. His most recent accolade was the receipt in April 2010 of a commendation for excellence in major crime training from the Head of the West Yorkshire Police Homicide and Major Enquiry Team. Widely recognised for his understanding of the importance of working in partnership and his commitment to managing diversity, one of his most cherished awards was the receipt of a Lifetime achievement award from the British Ahmadiyya Muslim association in 2006. 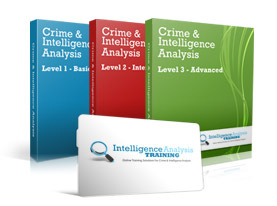 John’s expertise and experience brings new training dimensions to Intelligence Analysis Training’s portfolio.